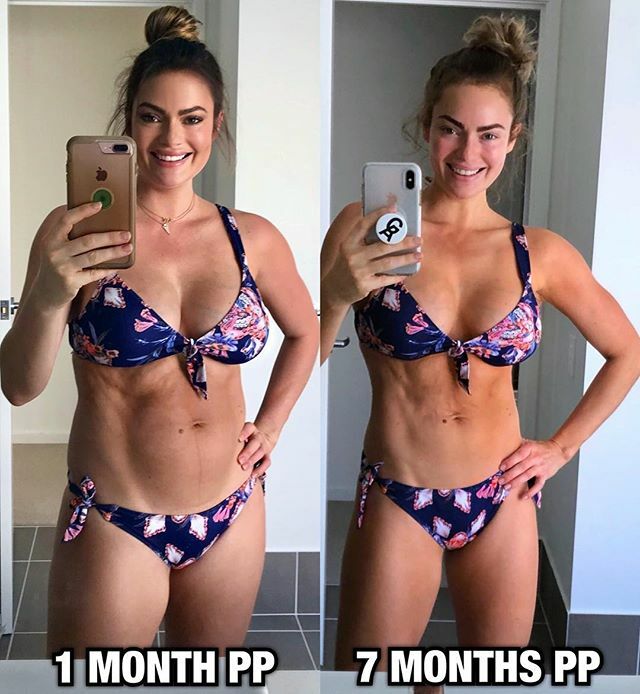 Soon after they give birth, new mothers start looking into ways to get rid of the after pregnancy belly and lose the pounds they have gained during pregnancy. While exercising may come into their minds, most new mothers tend to put it off as they are still fatigued from the birth process. Nevertheless, psychologists and fitness experts usually recommend mothers to follow a few simple workout tips right after they give birth and start extending it slowly until they burn the extra pounds of weight they have gained. In this article, some of these workout tips are presented to help you get rid of the after pregnancy belly. Workout tips for new moms. The most safe and sure way to get rid of your after pregnancy belly is to exercise. But because you recently gave birth, working out is a bit tricky. While most mothers tend to be low on energy after they give birth, it is essential that they carry out small movements to initiate the fat burning process in their bodies. Even if it is a short 10-minute walk, it is a good start which can be extended day-by-day as long as the mother does not feel pain or has any severe symptoms. After the 6th week after birth, the mother should be able to do between 20 and 30 minutes of simple cardio exercises, as frequently as thrice a week. Walking is, in fact, found to be the most suitable workout for new mothers as it is simple and can be easily incorporated into the daily routine. For example, instead of going to the grocery store by car, a new mother can take that as a chance to walk and exercise her body. Of course, the mother needs to consult with her doctor before pursuing any exercise routine. However, she should not give up to prolonged laziness or relaxation and should try to introduce exercise into her daily routine. After a couple of months of the baby’s birth, the mother can start talking the baby with her for walks by pushing him/her in his stroller. The Surgeon General states that if a mother is able to push the baby stroller a distance of 1-2 miles in 30 minutes, she is expected to burn around 150 calories, which is a good exercise if pursued daily. Mothers who have been blessed with twin babies are even more likely to lose more calories as they push the double stroller holding their twin babies. However, they need to be very careful about their choice of a double stroller. Certain double strollers are manufactured to be most suitable for jogging, in order to guarantee stability, durability, and comfort for the twin babies, while being easy to push and control by the parent. One of the highly recommended strollers for this use is Schwinn double jogging stroller (2018 model) which is made with a single front wheel to ensure easy maneuvering and 5-point safety harness to ensure the children are safe in their seats. It can hold up to 50 pounds of weight per seat which means that it is durable and would be suitable for the twin babies as they grow. With a jogging stroller, the mother can guarantee to burn calories while not having to spend time away from her kids. Weight lifting is generally known to be one of the best ways to lose weight and stay fit and healthy. This particular exercise is especially easier for new mothers as they do not need to purchase any new dumbbells but can use their babies instead! By lifting the baby slowly up and down a number of times, the mother can get an almost similar effect to a weightlifting exercise, without having to leave her baby while she lifts weights at the gym. Nevertheless, it is of utmost importance that the mother consults all the movements with the pediatrician before proceeding with any training that involves her baby. After all, it is the safety of the baby that comes first before any attempts at weight loss. While extensive exercises may not be yet feasible for the mother for a few months after giving birth, simple workout tips can be followed to burn some calories and help get rid of the after pregnancy belly. After all, the mother needs to be healthy and active to be able to keep up with the demands of her babies as they grow older. Taking small steps at first can help the new mother to reduce their fatigue. Once they become more comfortable, they can pick up their pace and start adding more intensity to their workout protocols, ultimately lifting some weights to speed up the reduction of the weight they gained during pregnancy.